Vicki and I appreciate people taking time to share a comment with Vicki about her ongoing story told through posts here on Vicki’s Voice. One of the good things about the Internet is the ability to connect with friends, real and virtual. I’ve been working “behind the screens” on websites today and have added the “ReCAPTCHA” box to the Comment form. Most of you have probably seen it on other websites already. It’s a way to help deal with spam comments, and we’ve had over 90,000 of them caught since Vicki’s Voice was started. Before you submit your comment you just have to check a box next to “I’m not a robot”. Don’t get me wrong – I like robots. And I’m glad there are places where broken robots can be fixed, such as the Robot Repair Shop at the Pittsburgh Airport. 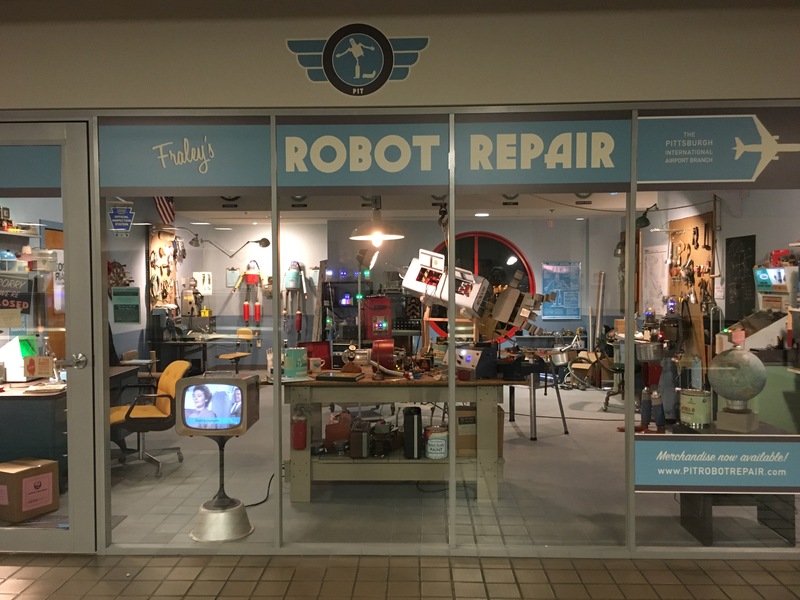 In fact, remembering about the Robot Repair Shop is what led to this post. It brings a smile to my face – and I hope to yours. Really, I’m not a robot.